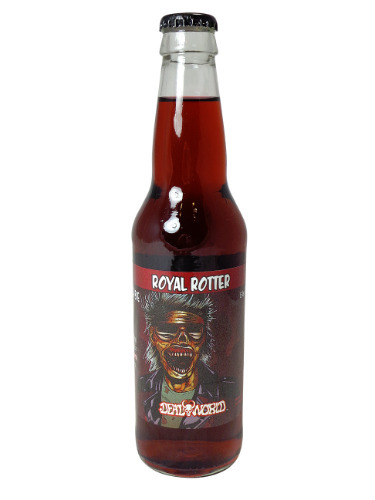 FRESH 12oz glass bottles Dead World Royal Rotter Black Cherry soda with CANE SUGAR!! Deadworld soda is a limited edition release of all natural soda featuring original artwork from the artists of the Deadworld Comic Series. All natural flavors for un-natural tastes.